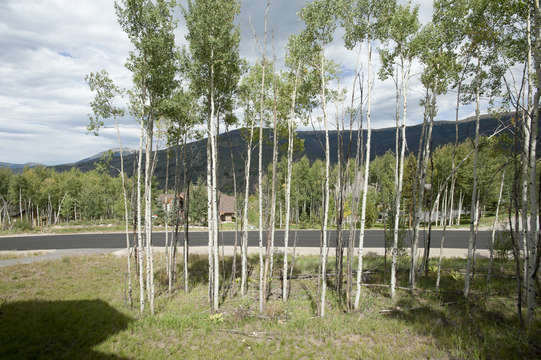 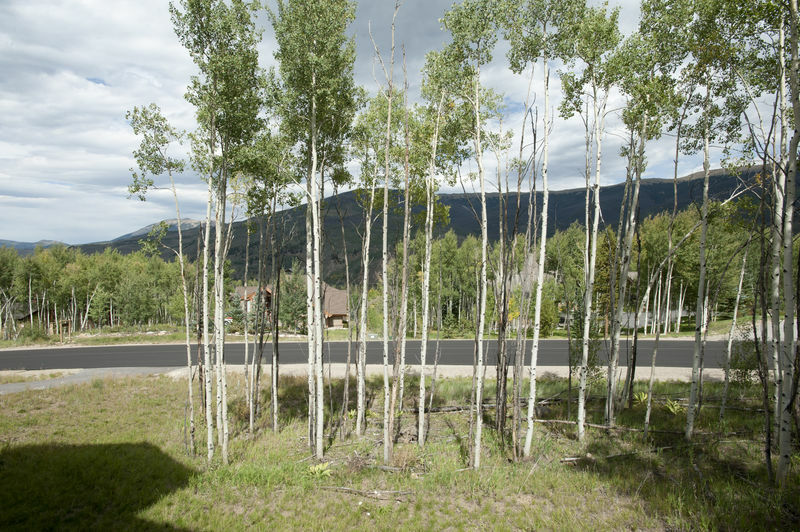 The Aspens is a gorgeous newly built home perched on a hill amidst a grove of towering Aspens in the Eagles Nest Golf Course Community. This special home has 4 bedrooms, 3.5 bathrooms, a kitchen fit for a chef open to the large living and dining area on the main level. 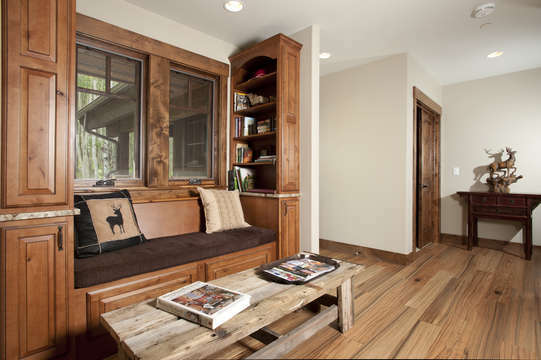 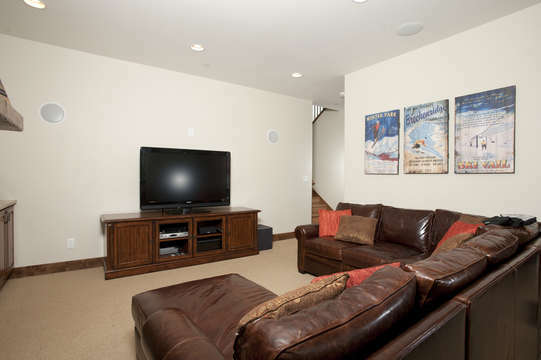 This home also has a separate family room for an additional living area. 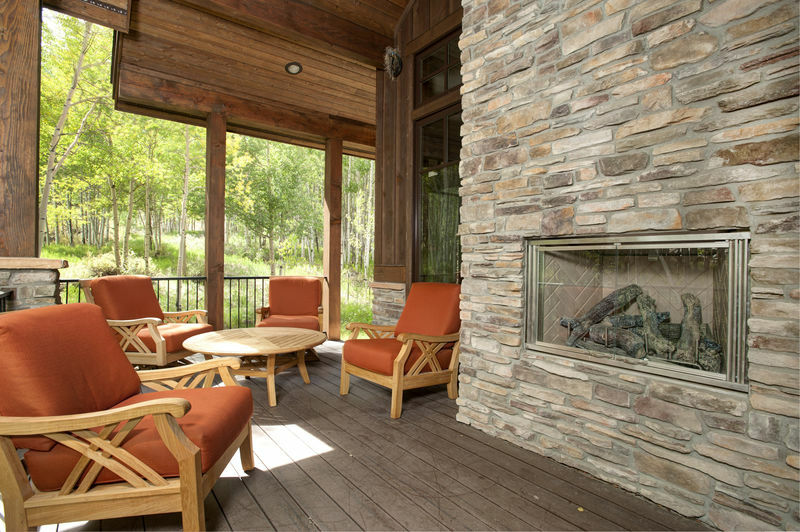 Views of Angler and Ptarmigan mountain and the surrounding Aspens can be seen from the large deck with outdoor fireplace. 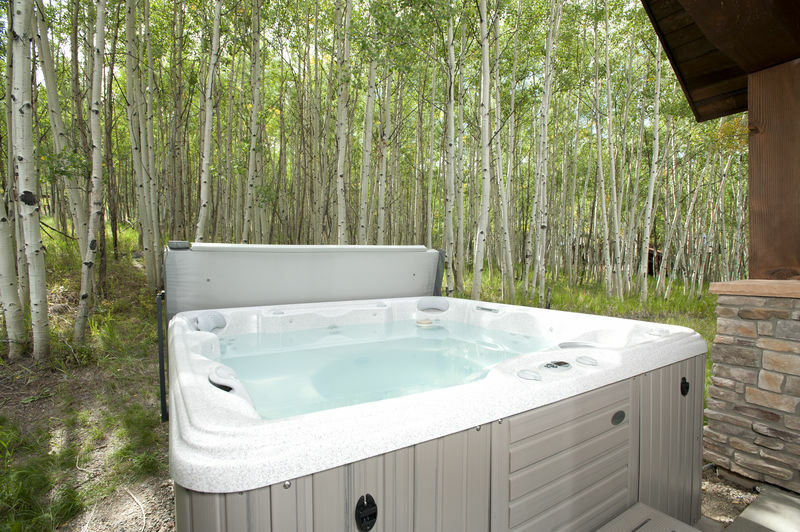 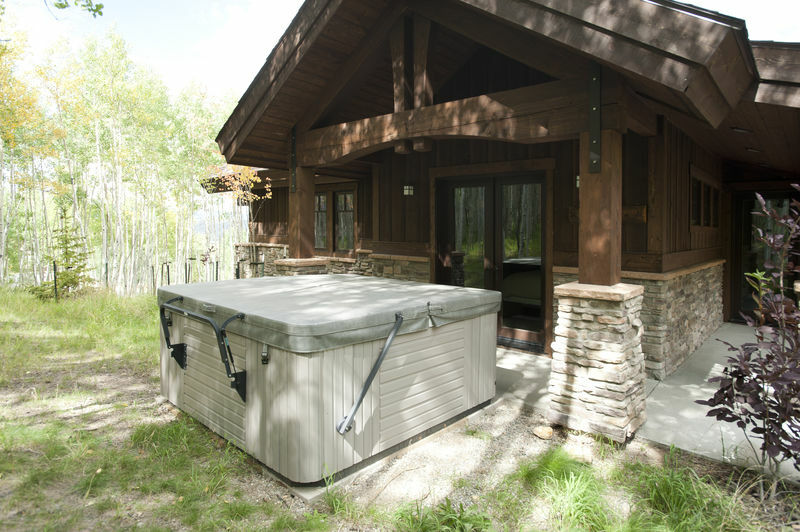 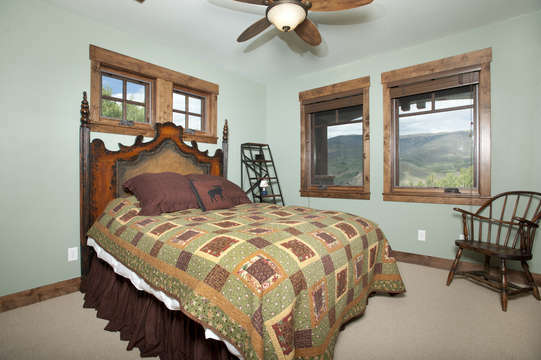 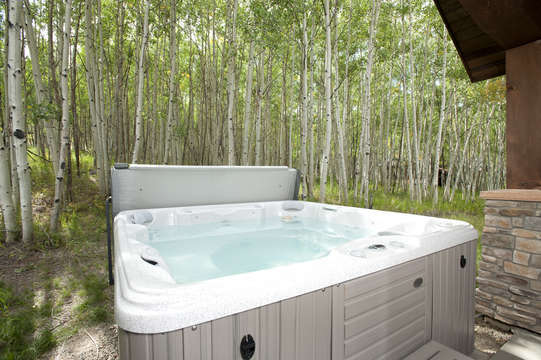 The Aspens is a vision of mountain elegance and comfort and is perfectly set up for two families or a ski or golf group. The Aspens has a spacious and open main living area with dramatic post and beam vaulted ceiling. 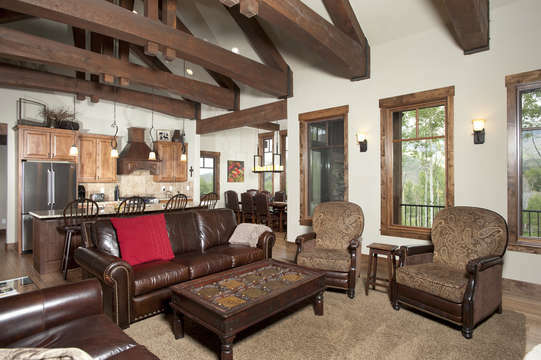 Relax in the comfortable leather sofas while enjoying the expansive views to the north from the picture windows. 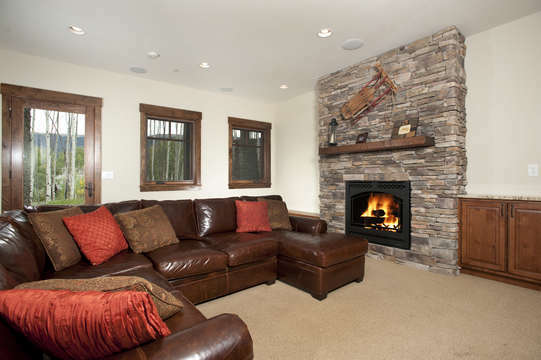 There is a gas stone fireplace in the living room to warm up after a day on the slopes. Open to the living room is the stunning gourmet kitchen with custom granite and cabinet work, stainless steel appliances, and gas range. 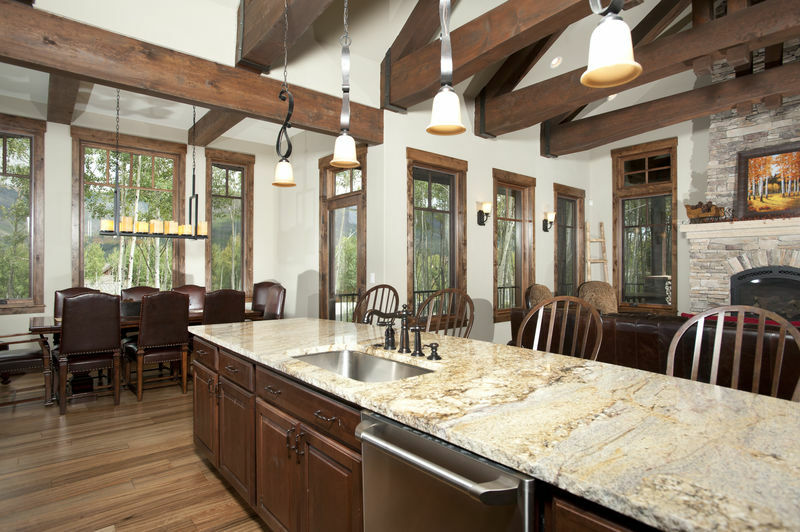 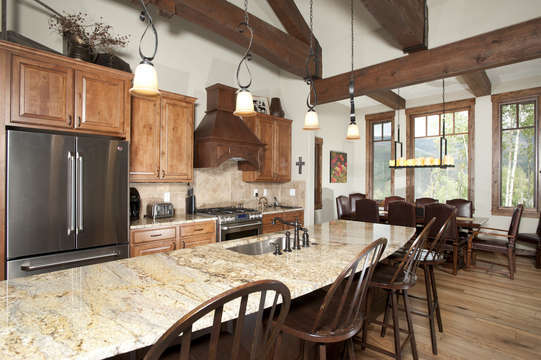 Adjacent to the kitchen is the dining area, surrounded by windows and aspens. 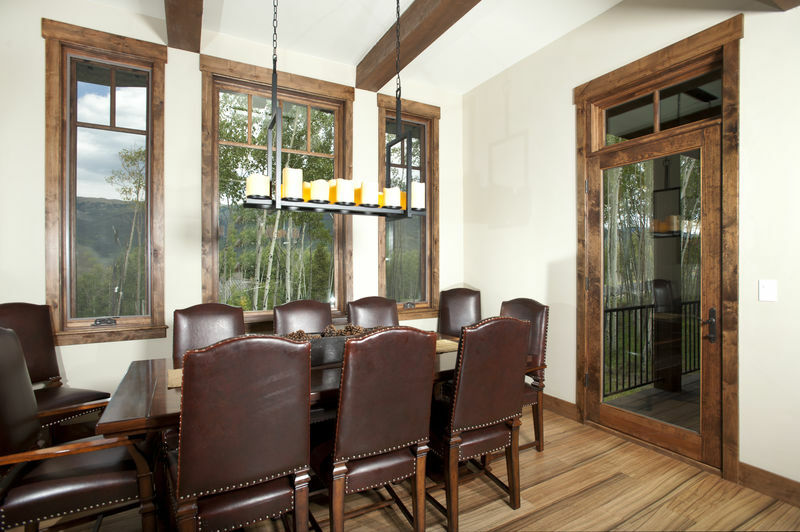 There is dining seating for 12 – 14, including 4 people at the kitchen bar. 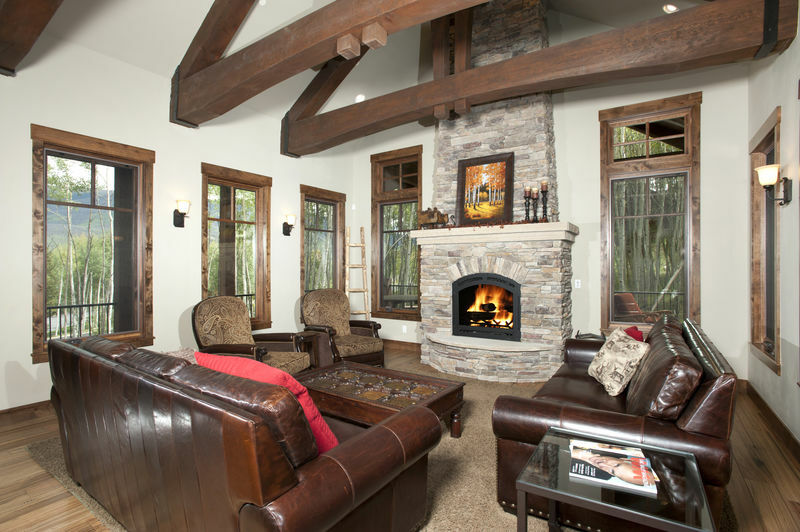 The natural elements used in the design of the main living room perfectly complement the natural beauty of the area. 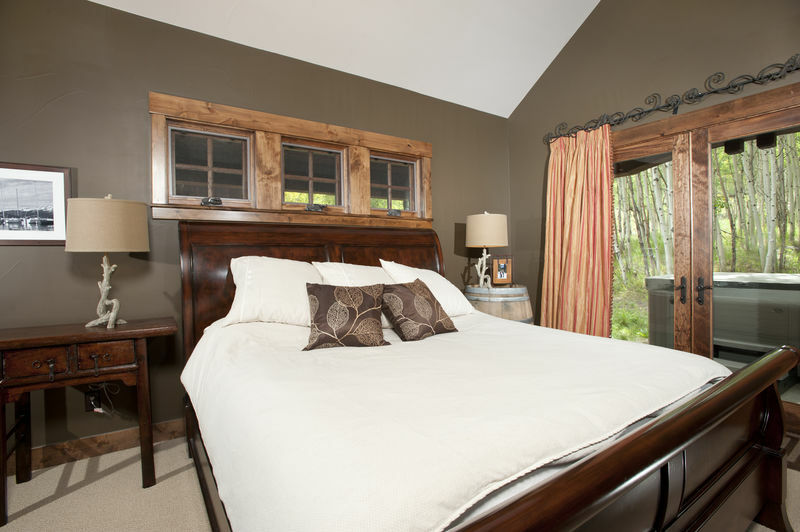 The Master bedroom sits on the main level of the home and has a king size sleigh bed and french doors leading to a private patio. 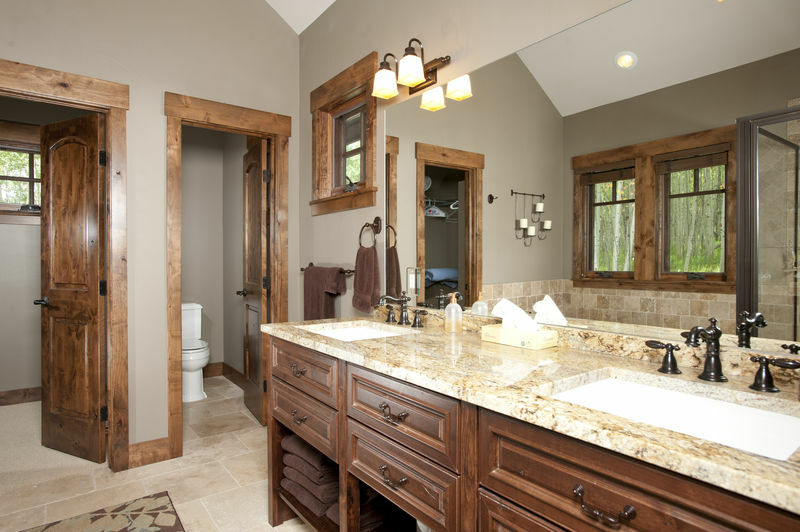 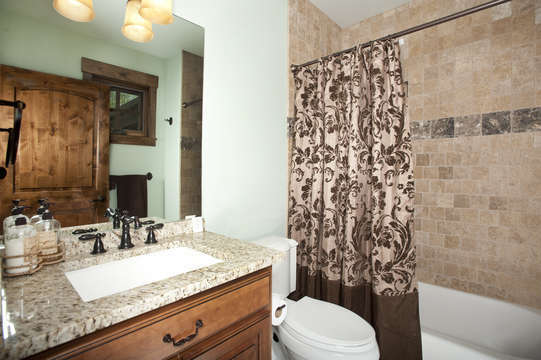 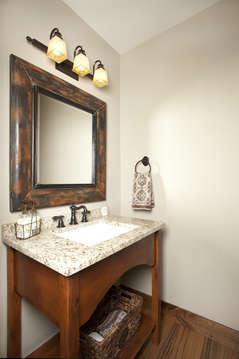 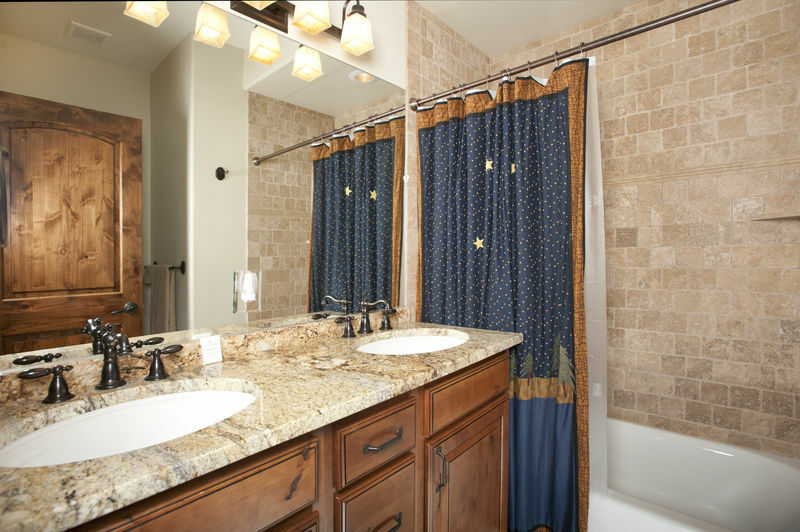 The gorgeous master bathroom is complete with glass shower, soaking tub, and double granite vanity. 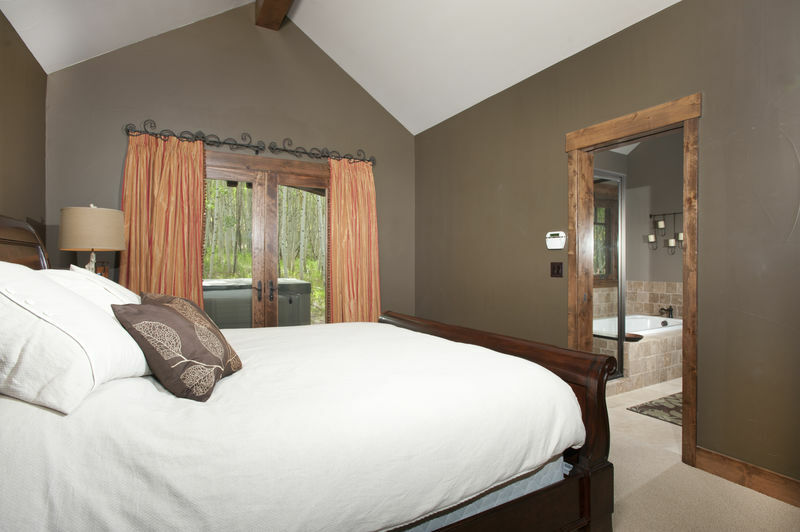 Also on the main level is the second bedroom with a queen size bed and private full bathroom with shower-tub. Downstairs is the family room with comfortable leather sofas, a flat screen LCD TV, Roku, and gas stone fireplace. 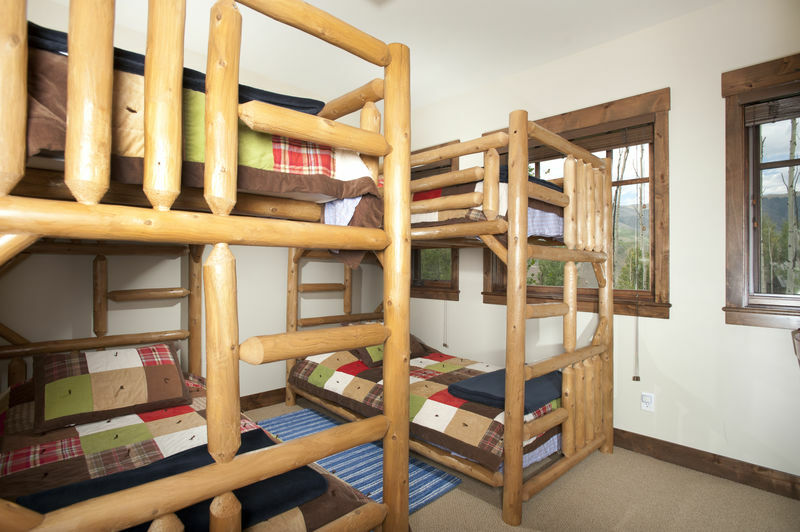 The third bedroom has log captains bunks (full on bottom, twin on top) and a wall mounted flat screen LCD TV. 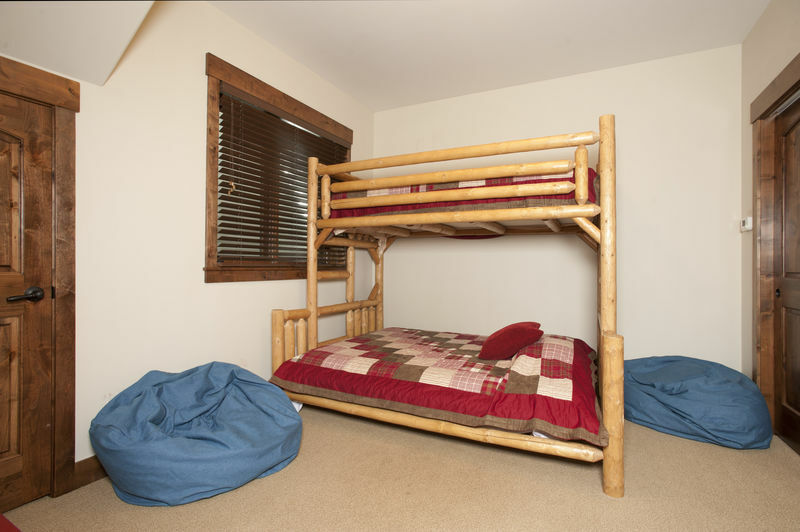 The fourth bedroom has two sets of twin log bunk beds perfect for kids, and the third and fourth bedrooms share a full bath in the hall. 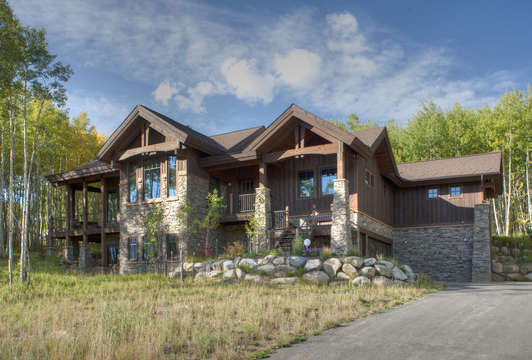 There is plenty of ski storage in the downstairs entry and 2 car heated garage. 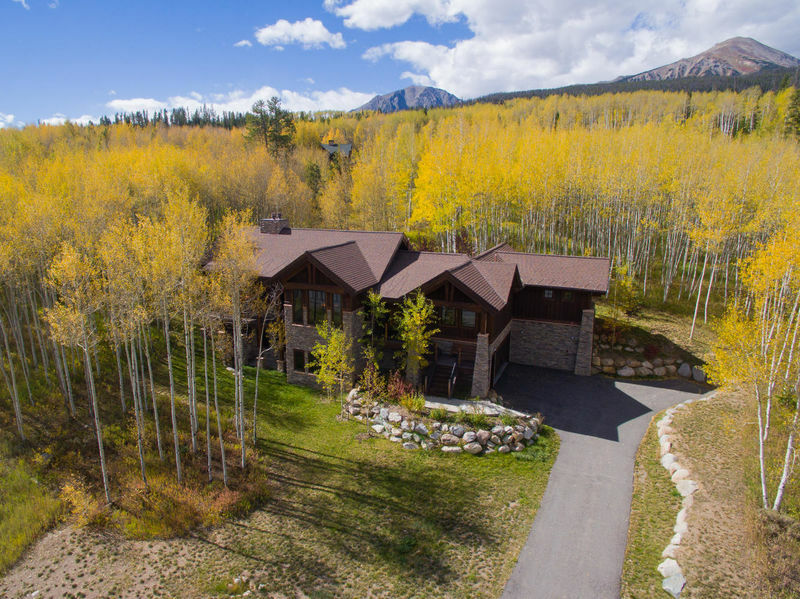 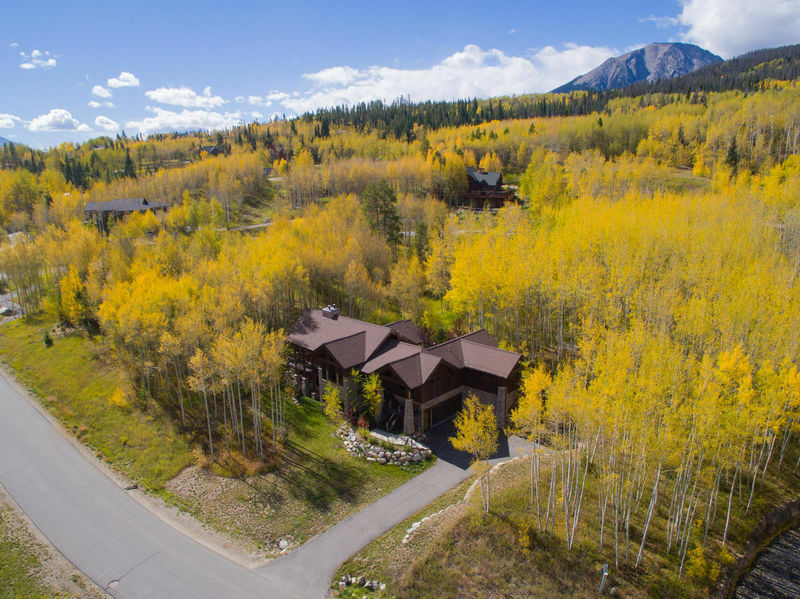 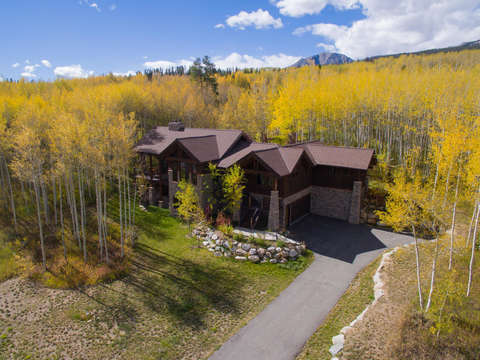 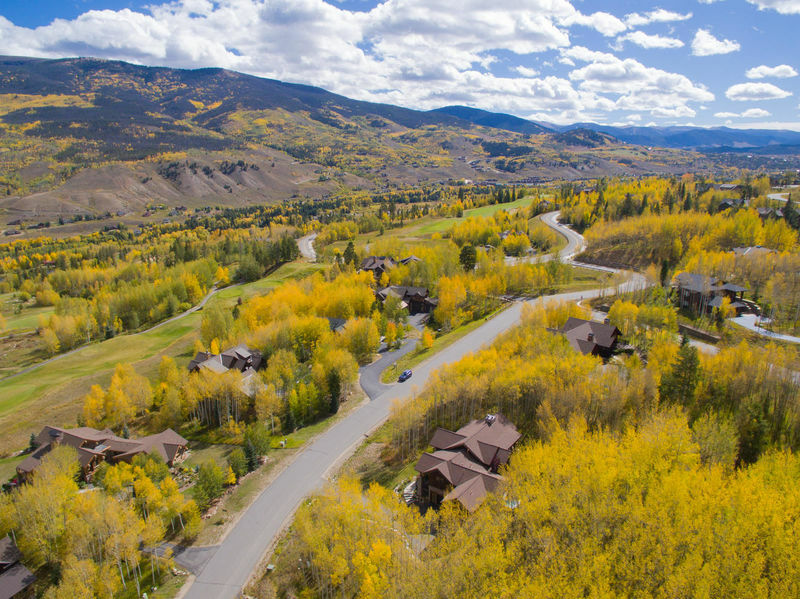 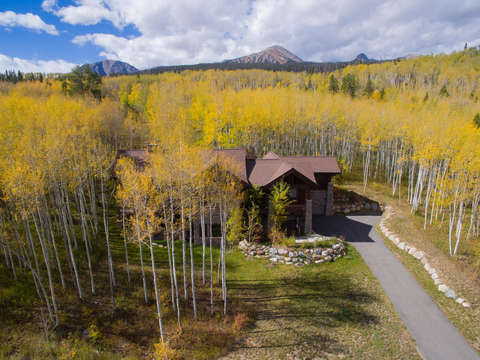 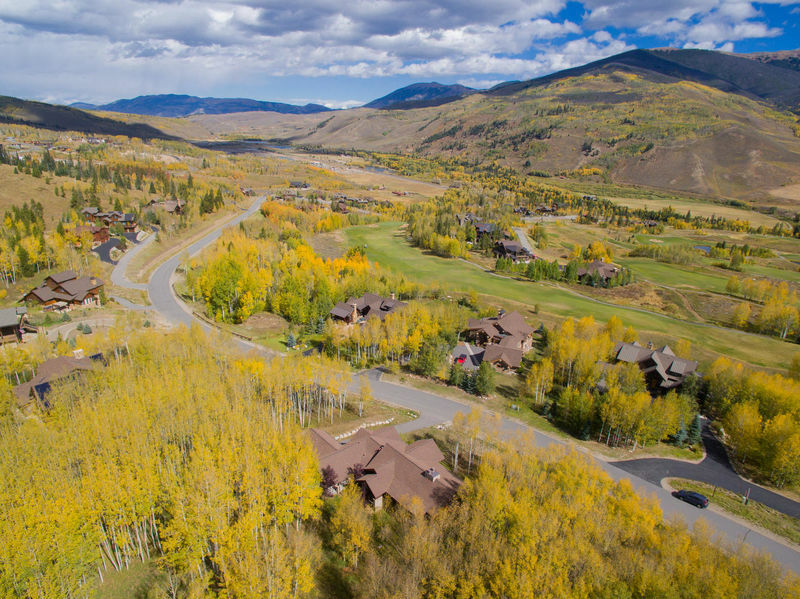 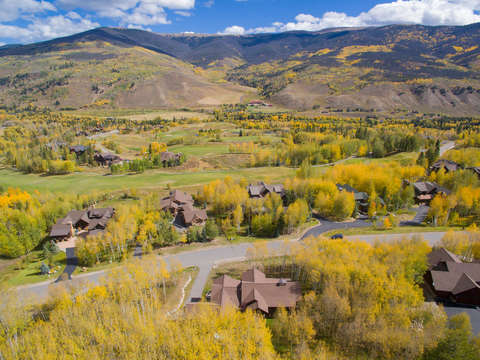 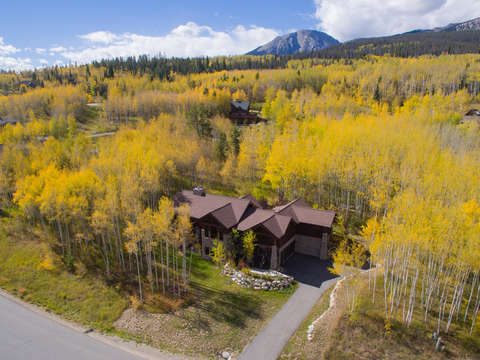 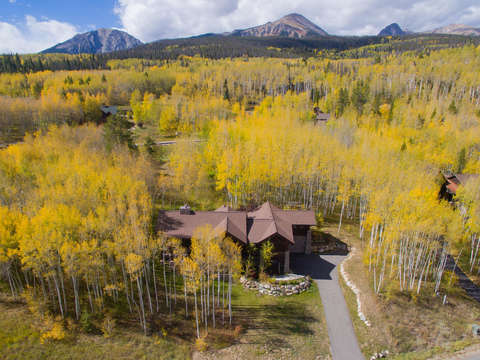 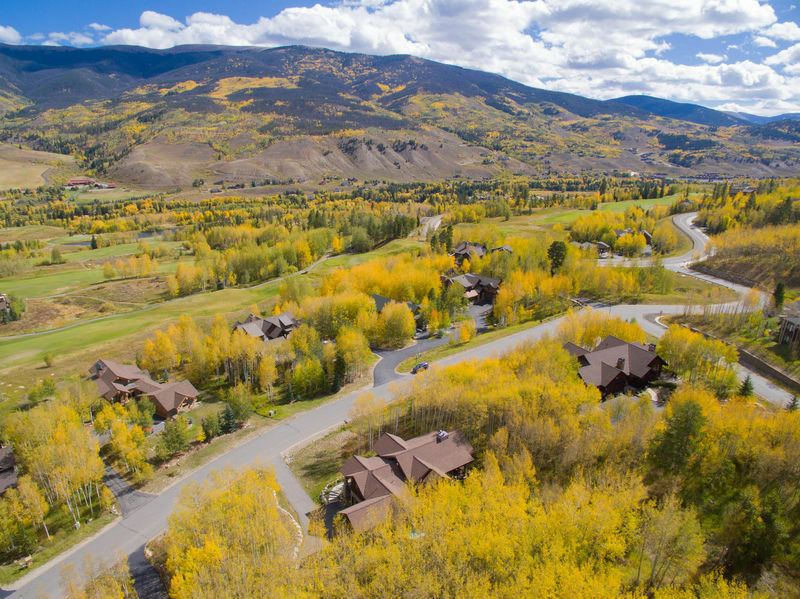 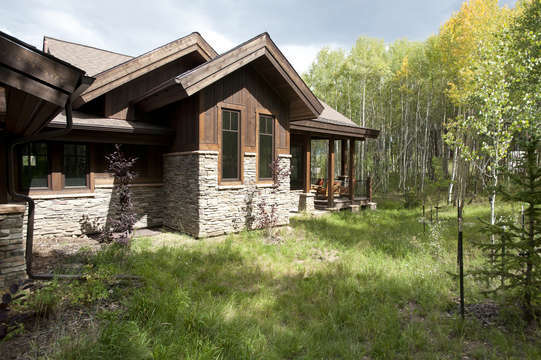 The Aspens is the perfect home for a family, ski or golf retreat and is centrally located near the clubhouse of the Raven Golf Course in Silverthorne, approximately 15 minutes drive from Keystone Ski Area, and 20 minutes drive to Copper Mountain, Breckenridge, and Arapahoe Basin. There is high speed wireless internet, a high chair, and a crib.